A woman has cause internet outcry and debate after posting an image of a pig's corpse online. 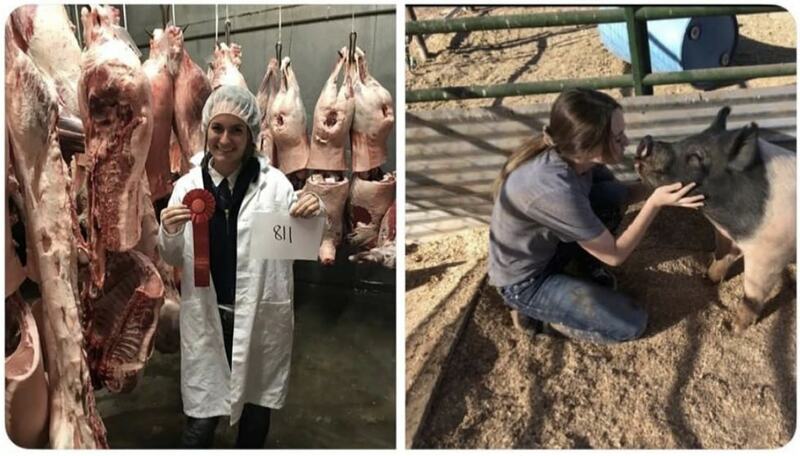 The internet user - known only as 'Colleen' - posted two pictures on Twitter: one of her embracing a pig, another of her beaming by the same pigs corpse as she holds a rosette. 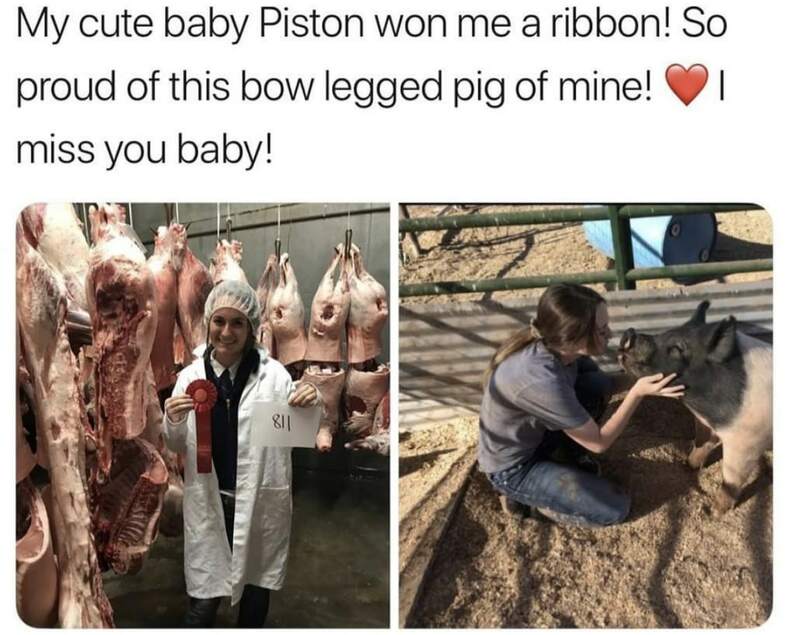 The picture's caption reads: "My cute baby Piston won me a ribbon! So proud of this bow-legged pig of mine. I miss you baby." The post, which has now been deleted, garnered reaction from across the internet. Vegan activist James Aspey said: "This is what normal looks like in a profoundly sick society that practices routine, legal violence against individuals of certain chosen species. "Their screams mostly fall on the ears of indoctrinated humans who feel nothing for their victims. "But some of us have woken up. We are listening and we are fighting every day to end this atrocity. Stop contributing to this violent atrocity by going vegan." Others found the imagery - and corresponding text - disturbing. One Twitter user wrote: "Forming a legitimate bond with an animal just to kill [them] and pat yourself on the back for it [is] some real a** psycho sh*t."
Another added: "This makes me so sick to my stomach." But not everyone agreed - with some people saying the picture and caption denote high welfare animal care. A social media user wrote: "One can love their animals, show them respect, name them, take cute photos, etc. and still slaughter them for food. "The animal looks like it was raised humanely and with love. More people need to understand that farming is a source of income for many families."